It’s no secret that getting positive ratings and reviews about your business on third-party websites is an important part of marketing these days. Study after study has confirmed that a majority of consumers trust online reviews of local businesses and use those reviews when making buying decisions. However, despite all the press about the importance of reviews, many local businesses still haven’t gotten the message and are not doing anything to encourage their customers to leave a review for them—and that’s great news for you. You see, the fact that many businesses are not giving this aspect of marketing the attention it deserves means that it may not be too late for you to become the #1-rated provider of your products or services in your local area. If you act quickly to claim this title, it could have a profound and lasting impact on your business. Before I get into how you can go about becoming the top-rated provider in your area, allow me to explain why doing so is well worth your time. You’re probably familiar with the psychological concept of social proof, which says that people tend to reference the behavior of others when making decisions. What you may not be aware of is how powerful this phenomenon is. In many studies covering a wide variety of industries, the best predictor of the popularity of something was how popular it was already. That has been proven to be true for everything from the number of downloads a song will get to which answer people will choose on a multiple choice test. It has also been proven that a small increase in popularity early on will lead to a much larger increase in popularity down the road. There is no denying that people simply trust the judgement of the crowd. What this phenomenon means for your business is that if none of your local competitors has any online ratings or reviews—which is still the case in many industries in many local markets—by simply getting a small handful of great reviews on one or two key sites, you can not only become the top-rated provider in your area, but you will likely ensure that you will always be the top-rated provider in your area. You see, once you get a few great reviews on third-party websites, at least some people will choose to do business with you simply because of that fact. This will, in turn, make it more likely that you will get more good reviews on more third-party websites…which will make it more likely that people will choose you simply because of your good reviews…and so on. The good news for you is that if you take action on this quickly, by the time your competitors realize what you’re doing you’ll probably be so far ahead that they’ll never catch up. The bad news is that if your competitors take action first, you will have your work cut out for you if you ever want to unseat them as the top-rated company in your area. Now that you understand the importance of acting quickly to become the top-rated provider in your area, let’s talk about how exactly to go about doing that. The first step is to decide what product or service you are going to be the top-rated provider of. At first this might seem obvious, but it’s actually important to put a little thought into this for a few reasons. First, you should do a little bit of keyword research to find out what products or services your potential customers are searching for, and what keywords they are using to describe those products. This is important because you’ll want your business’s listings on third-party review sites to show up in search results for popular search terms, which means you’ll need to use those terms in the description of your business that you put on those sites. For example, a handyman might determine that many people in his area are looking for plumbers online, but not many people are searching using the term “handyman”. He would want to make sure to include terms related to plumbing on his business listings so that when he collects reviews he can brand himself as the top-rated plumber in the area. Being the top-rated provider of a service nobody is searching for defeats the purpose of creating social proof, and won’t do you any good. Another reason that you should put some thought into what category you will target for top-rated status is that one of your competitors may have beaten you to the punch in one category, but be lagging behind in another. For example, a cleaning company that offers residential and commercial cleaning might have a competitor who only offers residential cleaning and has 20 five-star reviews on Google. It might make more sense for that company to try and get reviews from their commercial cleaning customers and brand themselves as the top-rated commercial cleaning company in the area, instead of trying to catch up with their competitor in the residential cleaning category. Of course, you can certainly become the top-rated company in your area in multiple categories, but you should first target categories that will get you the best results the fastest, and then move on to more specific categories. Once you’ve determined what category you want to become top-rated in and have set up listings for your business on third-party review sites using keywords related to that category, it’s time to start getting some reviews on those sites. Have a specific point in your customer service cycle where you ask for a review in order to make it less likely that you’ll forget to do it. Train yourself and your employees to always ask for a review whenever they get a compliment from a customer. Be specific about where you want the customer to leave a review, and give them the information they need to do it (such as a direct link to the site where you want the review sent in an email). Especially target customers you have a long history and close relationship with. They’ll not only be more likely to leave you a review, but their review will probably be more descriptive. In addition to your customers, ask strategic partners to leave you a review. This is 100% legitimate as long as they make it clear in the review that they are speaking not as a customer but from someone who has knowledge of your business from the perspective of a strategic partner. 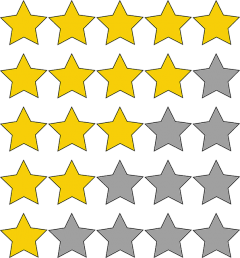 Consider using an automated reputation marketing tool to help you collect reviews (Us and GetFiveStars.com are two examples of these). The answer to where to get your customers to leave reviews for your business depends to a certain extent on your industry, your competitors, and where you are located, but for most businesses, the following guidelines are a good starting point. Start by getting six 5-star reviews on your Google My Business page. This will make the average star rating show up on the page instead of just the number of reviews. It will also make your Google listing more likely to show up as one of the three businesses displayed in the maps section of the local search results. This will help kick-start your “top-rated” claim. Next, get 5-10 reviews on your business Facebook page. This page often turns up just after or even before your website in search results when people search for your business by name. After Google and Facebook, do some local searches for the keywords you are targeting and also some branded searches for your business, and see what directories if any turn up in search results. Get some reviews on these directories next and get 5-10 reviews on each. Last but not least, get some reviews on high-traffic industry-specific review sites such as Homeadvisor.com, Zillow.com, Healthgrades.com, or Cars.com. Once you’ve done all of the above, then pick one or two sites to get the majority of your reviews on going forward. It will be easier to brand yourself as the “top-rated” provider if you can point to a large number of reviews on one site vs having to average ratings and reviews across many sites (although this is still a valid strategy). Narrow your geographic focus: If someone else has nailed down the top-rated status for your industry in the closest major city, try targeting your suburb or even your neighborhood (if your business is located in a neighborhood that has a widely used name but is not formally recognized as a municipality). Target a narrower category: If there is a service you provide that your highly-rated competitor doesn’t, get some reviews reflecting that and brand yourself as the #1-rated provider of that service. Get reviews from a specific category of customer: Instead of branding yourself as the #1 rated provider of your service overall, you could brand yourself as the #1 choice of a specific type of customer after collecting reviews from that type of customer. For example, a cake bakery could get reviews from owners of bridal salons in the area and brand themselves as the “top-rated bakery for wedding cakes among local bridal salons”. By following the tips listed above, within relatively short order you should be able to claim the title of “#1-rated” in at least one category. 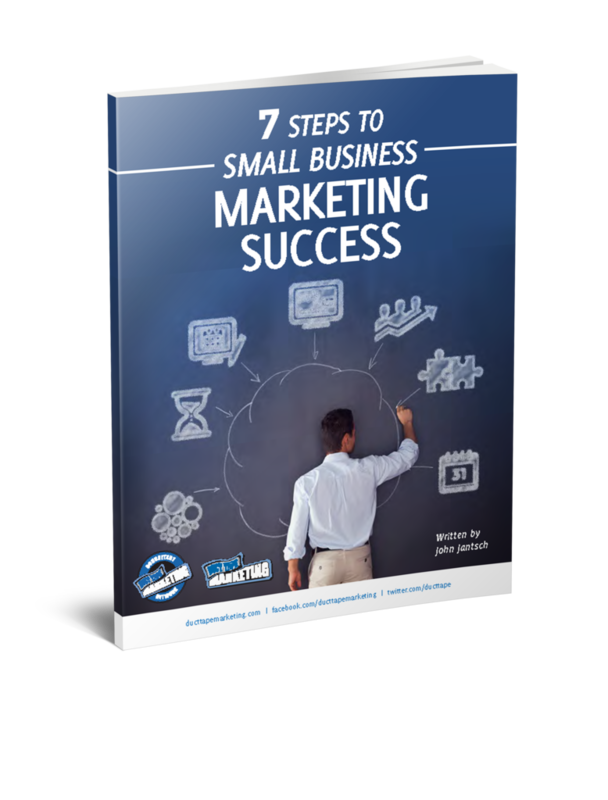 Don’t wait too long to take action, though—for all you know, your closest local competitor could be reading this same blog post and planning their own top-rated marketing campaign! Kevin Jordan is a member of the Duct Tape Marketing Consultant Network and the owner of Redpoint Marketing Consultants, the #1-rated marketing agency in Christiansburg, VA. He’s also co-author of the award-winning book The Small Business Owner’s Guide to Local Lead Generation and the host of the top-rated video podcast The Small Business Marketing Minute Show. You can connect with Kevin on Twitter @RMCVirginia.